Kataraina Pipi is the mother of two young women, Maraea and Mere Arihi. She is also a musician, facilitator, evaluator, and an avid supporter of whānau and community development. She has written herself that “[w]hen these elements are combined, I find I am the most able to support the realization of indigenous aspirations” (Pipi, 2016, p. 43). It is the combination of her talents and her commitment to seeing people fulfil their potential that makes Kataraina a leader. This combination also led Kataraina into research and evaluation in the late 1990s. She was working in youth and community development when a project on Māori and iwi provider success enticed her to try her hand at research (Pipi et al., 2002). Diverse research and evaluation projects ensued, with Kataraina working alongside Māori, Pasifika and Pākehā colleagues to decolonise methodologies. She has often expressed her appreciation of her colleagues. They, in turn, are greatly indebted to her for the generosity, warmth and skills she brings to projects. Her work has helped ensure that Māori are well represented, and that the structural barriers to Māori wellbeing are both understood and challenged1. 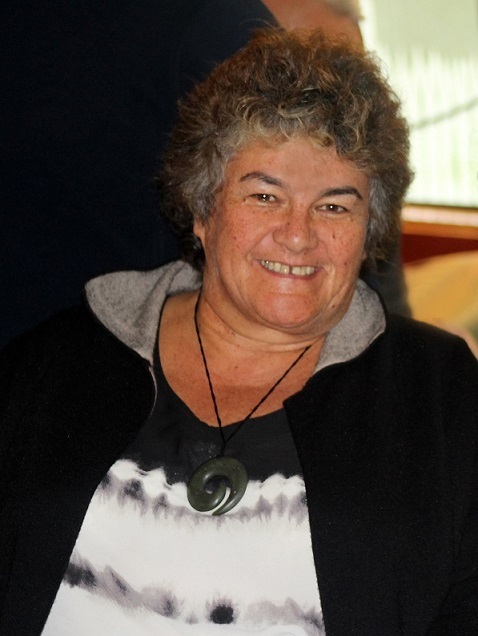 Kataraina introduced PATH (Planning Alternative Tomorrows with Hope)2 to Aotearoa early in the 2000s (Pipi, 2010). As well as using PATH herself, Kataraina has trained a number of PATH facilitators around the country. This is not a one-off just for PATH. If Kataraina discovers a tool that works in the service of Māori, she will share it. Her leadership with PATH has made it possible for many individuals, whānau and organisations to dream about their future and to take steps to fulfil that dream. Whether Kataraina is doing an evaluation, working with a whānau on a PATH, facilitating a conference or dining with friends, there will be music. Composing and singing invade all aspects of her life3. Her CDs spread the joy of her music. Her beautiful songs put people at ease, inspire them, and encourage them to lead. This is yet another way in which Kataraina’s leadership draws others alongside her so that everyone moves forward together. Filmed interview. YouTube: PATH - an Overview - with Kataraina Pipi in NZ. Jack Pearpoint. Waiata. YouTube: Kataraina Pipi – Courageous Journey.